Getting your scuba certification is a serious commitment. At DYP™, if we are going to put our name on your certification card, then we commit to providing you with the training you need to be a safe diver. We also expect that you will commit to giving it your all. DYP's high training standards do not guarantee your certification. 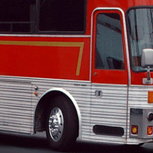 You must personally meet the performance requirements, but we will help you get there. Your ability to perform the required skills will result in the certification, and that certification has the power to change your life. Our job is to teach you those skills, instill a foundation of related knowledge, and ultimately train you to be a confident and capable diver. We guarantee that level of training. Whether or not you receive a certification depends upon what you do with that training. Our training is divided into 3 simple phases. This is for the person with little or no scuba experience that would like to begin their training. We offer a premium, private PADI™ Open Water Certification. 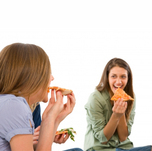 This is one on one training or with your small group of friends and/or family. We believe the most effective training is done privately in this phase, so we restrict the ratios to 2 students to one instructor for the pool training portion. We require no equipment to be purchased for PHASE 1. In fact, we discourage it. With DYP Phase 1, you will get the opportunity to try out frameless vs 2 lens masks, split fins vs paddle fins, and a variety of other pieces of equipment so when the time comes for you to purchase, you will have hands-on experience on which to base your decision. SIDENOTE: In regards to equipment, DYP™ is not an authorized dealer of any brand and we remain so intentionally. You will find no high-pressured sales tactics in any of our training. We have made strategic relationships with several great dive shops that do provide the different brands of high performance dive equipment we recommend, but by remaining brand/shop neutral, DYP™ can provide non-biased training and equipment advice so our students can make informed purchases that fit their needs and budgets. PHASE 1 provides the training for dives up to 60 feet deep. It is a lifetime certification, but if you wind up not diving for 6 months, we recommend you do a PADI Scuba Review with an instructor. 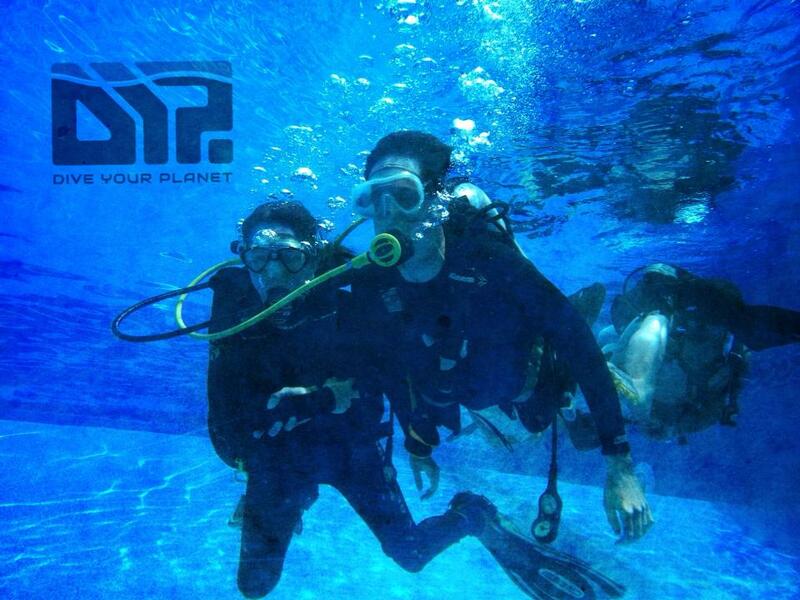 Good News: All DYP™ PHASE 1 Students receive a FREE ANNUAL SCUBA REVIEW ($150 value). After completing the certification dives for PHASE 1 (The PADI Open Water Certification), you approach a fork in the road. The most likely scenario is that you fell in love with diving and you're ready to invest in your Dive Life. If, for some reason, you decide you don't like diving, then your training ends with PHASE 1. Your only investment was in the training, and you have no dive equipment that you purchased that will sit and dry rot in your garage for the next 10 years. BUT, as I said, the more likely scenario is that you are ready for PHASE 2. This is for the person who is already certified to some level, but has not completed any rescue diver training. Traditional scuba training breaks your advanced training into a'la carte' items, and you're encouraged to "climb the ladder" of training. 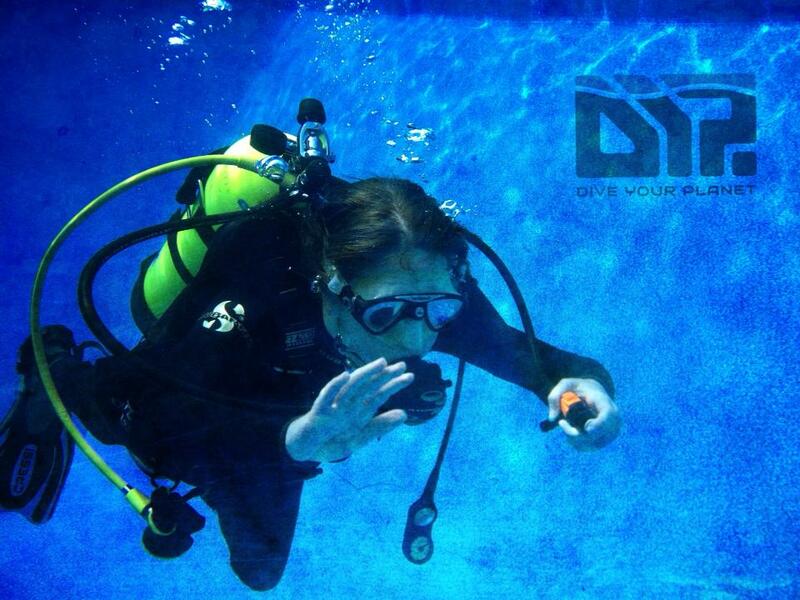 DYP™ believes, "if you're gonna be a diver, then you need to train and be equipped for it." Any diver, beginning or advanced, entering the water is susceptible to being involved in a dive emergency resulting from themselves or another diver. We want you to be prepared. Within the PADI training system, there is a "fast track" and there is also a more thorough way to train. 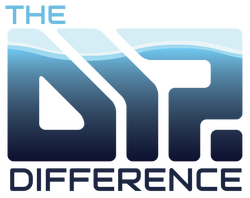 DYP™ chooses the more thorough way to take you from an open water diver to a Master Scuba Diver, the highest rating for a recreational diver. From there, students who want to make diving their full or part time profession, can continue to PHASE 3: Go Pro. Typically, PHASE 2 is spread out over 24 months, although ambitious students with the time in their schedule can finish sooner. In PHASE 2, we conduct in-depth training in a variety of specialities (navigation, buoyancy, wreck, and more), as well as rescue diver, CPR, first aid, and emergency oxygen provider training. These are all crucial skills that any diver needs to know. That's why we don't consider them "optional". Every diver needs to be able to navigate back to their boat or shore entry. Every diver needs proper buoyancy to avoid injuries. Every diver needs to be able to react to a dive emergency. Every diver needs this kind of training. At the completion of PHASE 2, you will have PADI certifications for Adventure Diver, Advanced Open Water, Rescue Diver, Underwater Navigation, Peak Performance Buoyancy, Deep Diver, Enriched Air Diver, Emergency First Responder (CPR/First Aid), Emergency Oxygen Provider, and your choice of Night Diver, Wreck Diver, or Drift Diver. This is truly a comprehensive training program that builds a strong foundation every diver should have. The training in this phase is conducted hugely in-water, with academic training often on-site. It is a very practical and hands-on training program and SO MUCH MORE FUN THAN PHASE 1! Note: All students must own a complete dive system (mask, snorkel, fins, boots, wetsuit, bc, regulators, weights and computer) to begin Phase 2. A monthly payment plan is available for the training and equipment expenses. This is for the diver who already has rescue training and wants to "fill in the gaps" with some particular specialty training or work toward PHASE 3 to become a dive professional. The format is similar to the regular PHASE 2 and payment plans are also available for any training and equipment needs. You've completed rescue training and a variety of special training, and now you want to "Go Pro". Great! DYP™ can take you there. 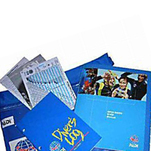 We offer a combined PADI™ Divemaster/Assistant Instructor program initially. As a Divemaster, you're of greater value as an Assistant Instructor as well, so we take you through both. If you choose to move directly into the Instructor Development Course to become a PADI™ Open Water Scuba Instructor, we will work with a PADI™ Course Director to complete that training. Or you can choose to work as a Divemaster/Asst. Instructor for a period of time to gain experience. Who says learning has to take place in a classroom? The life of a diver is fun and relaxed. DYP™ approaches training in the same way. We consider ourself a Dive Concierge; therefore, we strive to make the training as convenient and engaging as possible without sacrificing the quality. The academic portion of our training program can be conducted any number of ways, and because it's private training, the delivery can be custom fit to your situation. If you are in the Nashville area, academic training can be done in our classroom. DYP™ always thinks outside the box to make training engaging and unique, so we can make it happen practically anywhere. 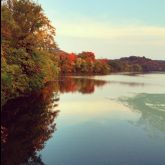 Meet up at Radnor Lake and complete some of the academics while on a hike. Musician on tour? No problem. DYP™ can join you for a leg, conduct academic training "on the go", and even coordinate pool training at one of your stops. If learning to scuba dive, and ultimately living deeper, is important to you, DYP™ can make it happen. The same flexibility as the academic training lays in the pool training as well. Those in the Nashville area can train in one of the multiple pools in which we conduct our confined water training. 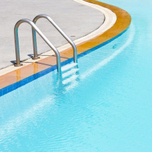 For those with home pools and/or a desire for more discrete training, DYP™ can bring the training to you. There is not a more convenient way to learn to scuba dive. Some divers enjoy the solitude of diving. Others love all the different people you meet on your dive trips. If you already have a core group of friends and/or family that want to learn to dive with you, we have created the "DYP™ Training Party." 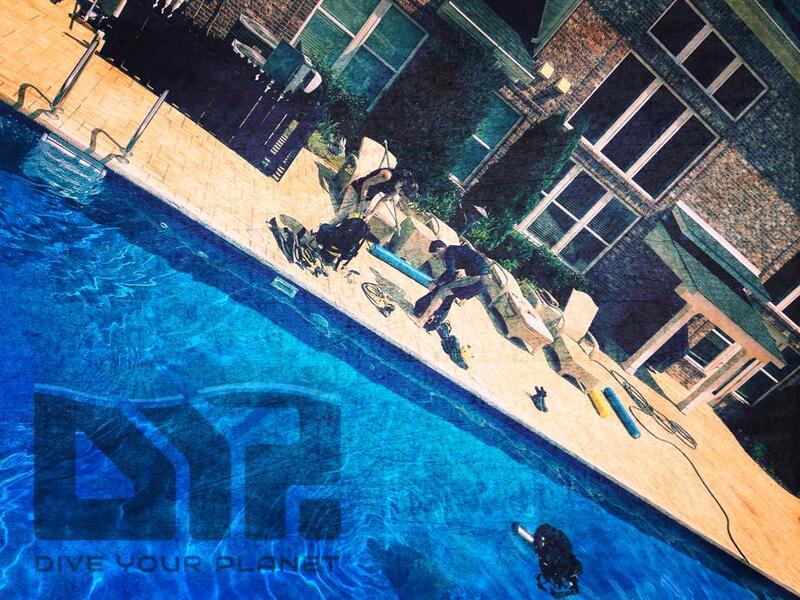 Hosted by you at your house, DYP™ brings the scuba while you bring the food. Sit around the table or lounge in the living room while DYP™ brings your academic training to life. It's the most fun way to learn and share your Dive Life with those you'll inevitably go diving with in the future. We may wind up planning a group trip together before we even finish our training! If your work, school, or travel schedule is challenging, DYP™ is the perfect match for you. Not only can you do a great deal of your academics online, DYP™ utilizes programs like Skype™ and Go To Meeting™ to go above and beyond "E-Learning" and bring you a personalized, interactive academic experience built entirely on your schedule. Connect with DYP™ from your home, your hotel room on a business trip, even from 10,000 feet in the air as you sit on an airplane. Wherever you can log onto the internet, DYP™ can be at the other end. 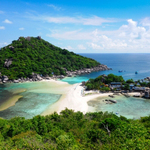 DYP™ can even conduct your entire training on-location at your vacation destination. You'll get the same level of professionalism but you'll get to experience it in Paradise. Sometimes life is just too busy to work in your training while at home. No problem. If you have at least 7 days on location, DYP™ can conduct your entire training program once you get there. 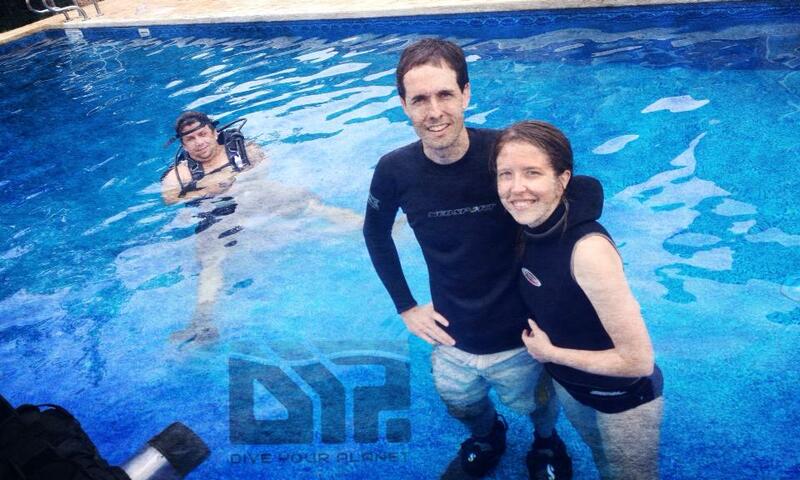 When we say DYP™ is a full service Dive Concierge, we mean it. Taking your safety and enjoyment into the highest regard, DYP™ can help you LIVE DEEPER™ anywhere on the planet. 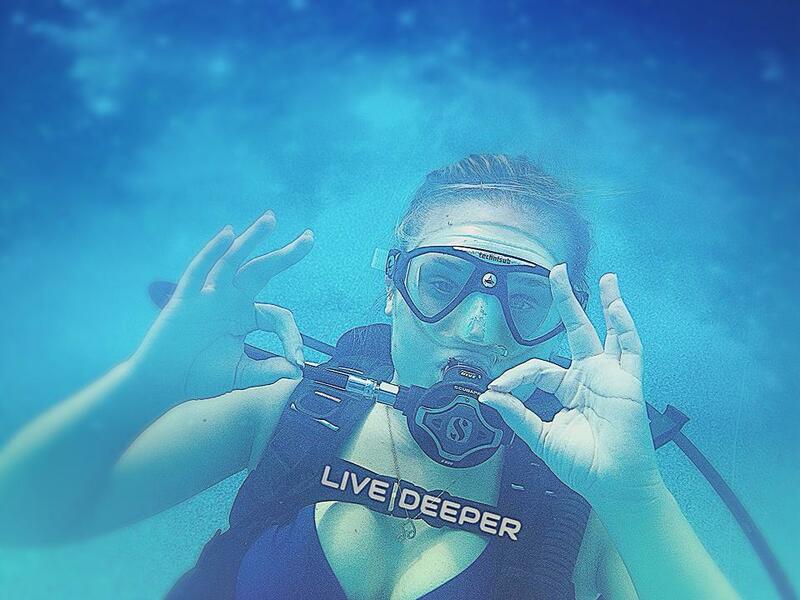 The DYP™ Difference is clear: Premium, private scuba training. Not just a certification. To set up a personal or Skype™ consultation where we can answer your questions and discuss pricing details, please fill out the form below.